On 2nd May, as part of MS Week, I shaved off my shoulder-length, blonde hair to raise funds for the MS Society Cymru. I work for Principality Building Society. Each year, my colleagues and I get to nominate and vote for a Charity of the Year, then we put all our fundraising efforts towards the chosen charity for a whole year. 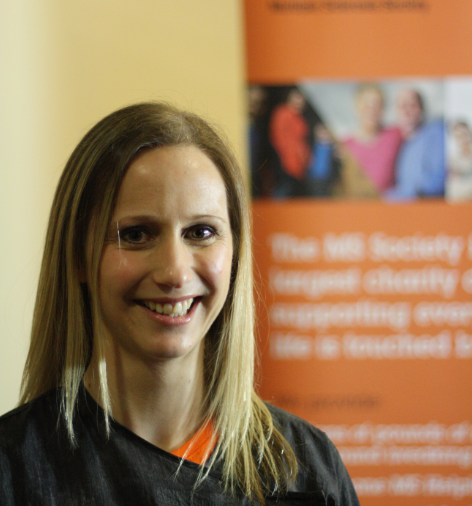 For 2014, my colleagues and I chose the MS Society Cymru and we’re hoping to raise a substantial amount of money by the end of the year to help people who have MS. The charity is actually very close to my heart and I figured that shaving my head would be a great (or stupid!) way to raise funds. People might think I’m bonkers but when I explain why I did it, most understand. During our first year at university, my wonderful friend and housemate Liz went to the doctors because her legs felt numb. She was diagnosed with primary progressive MS a few months later and had to drop out of her course the following term. Her symptoms quickly worsened and her parents had to become her carers. 17 years on and Liz’s condition means that she hasn’t been able to look after herself for years – she requires round-the-clock care which has been extremely hard work for her parents. While there’s not much I can do to help Liz and her family directly, the MS Society continually researches to find a cure for MS and also provides support for those going through what Liz and her family continue to experience, so I wanted to raise some money to help them with their excellent work. I knew that I’d have to do something a bit different to raise a large amount of money, because so many people do 10km runs, sponsored walks, etc., so I decided to shave my head. On the day, everyone was asking me if I was scared but I wasn’t at all – in fact I was quite excited and I found it to be a liberating experience. 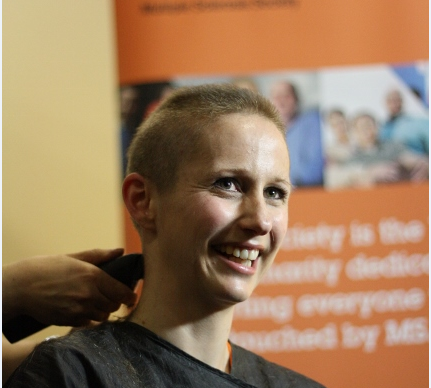 My head shave took place in Morgan’s Hair Salon in Cardiff – the lovely owner Sadie did it for free and the only reason I found it slightly nerve-racking was because around 40 people came to watch and I was also being filmed! People’s reactions have been varied. Lots of people have told me I’m brave for what I did and that my shaved head looks great, but beforehand most people thought I was nuts and a few even begged me not to do it! My hair will grow back in no time (it’s been four weeks and it’s already grown loads) and it was such a small sacrifice to make in order to raise a large amount of money. I’ve raised over £3300 (with funds still trickling in!) when my target was £1,000. I’ve been completely overwhelmed by people’s generosity and support. My only worry was that my head would be cold but that hasn’t been an issue and I’m saving so much time getting ready in the mornings that I’m reluctant to grow my hair back at all!